"I have been using The Parcel People for the stock control and shipping of my orders for a few months now and I just have to say: amazing. Service from my account manager is professional and immediate. As is the service from the packing staff who are willing to help me with any request I have at a moment's notice. The changeover from packing our own orders to having them done by TPP has been almost seamless and I have to say, I love having my house back! I have been able to add more lines to my store because of their efficiency and my customers are very happy as the orders are shipped daily. All in all, I highly recommend The Parcel People for anyone that has an online store for the despatch of goods. I look forward to a long association as well as to increasing my business volume over the next few years. Thanks to all at Team Parcel People!" 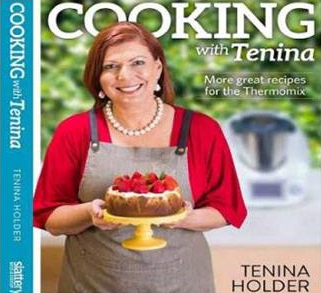 - Tenina Holder, Cooking With Tenina. "During our time at The Parcel People we were very happy to have [the] time in our business we needed to get our marketing and sales in order because we had a team taking care of our packing and dispatch. In addition, we have been able to take family holidays without worrying about a big batch of orders to fulfil upon our return. The shipping rates are excellent and the app that worked with our website did so seamlessly. Orders were sucked across at the same time every day which made it easy for me. The Parcel People dispatched all of our orders every day without fail, even during our really busy Christmas season. Our orders were packed with care and our customer frequently commented on how well they were packed and that fragile items arrived in perfect condition. Thank you!" - Lisa Munro, Happy Tummies. Terence has his own eBay store and a couple of his own websites, and has been successfully trading online for several years. He was based at home and housed his stock in his garage. His product range had grown substantially over time and he found himself with no more room to purchase new stock and hence grow his business. Like many home-based entrepreneurs, he faced tough decisions about growth and expansion. Without the room to physically grow his stock, his earning potential was limited. Does he 'take the plunge' and lease or buy his own premises, employ his own staff, buy his own equipment and thereby increasing his costs and risk? What if he could partner up with a logistic specialist to expand his business with much less risk? After considerable thought, Terence decided to see what the logistics marketplace had to offer. His main concern was cost, and whether someone take him on without a stock coding system. With over 1,000 different product lines this was a big concern. Terence contacted us shortly after his hunt for a logistics company began. After a visit to his house, we discovered that although he had no system of stock management, we could address his concerns in a couple of days. We generated a product manifest of all his stock from various sources with image, description, and stock-on-hand information. We loaded this information onto our website, allocated SKU (product codes) to each product, and then sent out a specialist warehouse team to mark up his stock. They were armed with tablets to help them identify and assign SKU’s. His stock was marked up and in three days his move into our warehouse was complete. Terence now finds himself with more time to focus on product listings, marketing and growing his business, while we handle his stock management, orders and returns. He only pays us for the space his stock takes up, and the orders we fulfil. He also benefits with very competitive postage rates and has told us that his new postage savings has offset his new warehousing expenses. For the first time he now has an accurate value of his stock position, can manage his stock depth on our website 24/7 and can stop making his daily trip to the post office. He is delighted, and his family no longer have to share the house with all his stock!